The Blind Geometer is a novella written by Kim Stanley Robinson. It was first published in 1986 in a limited number of copies; after also being published in magazines, it was notably published as a paperback collected with Robinson's short story "The Return from Rainbow Bridge" and Ursuka K. Le Guin's novella "The New Atlantis" in 1989. Green Mars is a novella published for the first time in 1985 in collections. It was published as a stand-alone story in 1988. It is not to be confounded with the novel of the same name. The novella does not take place in the same universe as the Mars trilogy. It tells of the climbing of the tallest volcano of the Mars (and of the solar system), Olympus Mons. Black Air is a short story first published in 1983. It was published as a separate volume by Pulphouse in 1991 as part of their Short Story Paperbacks series, and has been included in several collections. 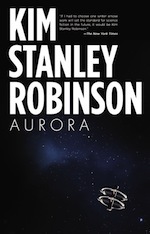 Black Air won the 1984 World Fantasy Award award for novella, and the 1984 SF Chronicle Award for novelette. It was nominated for the 1983 Nebula Award and the 1984 Hugo Award for novelette.